Any film featuring a cameo from BBC children’s programme stars The Wombles, plus Roxy Music star Bryan ferry has a serial killer deserves full marks for originality; Neil Jordan’s serio-comic tale about the journey of transgender waif Patrick ‘Kitten’ Braden is an idiosyncratic one-off. Played by a well-cast Cillian Murphy, Braden is searching for his mother, with Liam Neeson’s priest amongst those he meets on his travels. Murphy has looked good and done little in a series of big budget films (Inception, Transcendence),but Breakfast on Pluto gives some idea of what he’s capable of. Jordan has fun with the musical and fashion styles of the 1970’s, but at the heart of the film is a plea for understanding of transgender issues that’s well-delivered without recourse to piety or pathos. Writer and director Ben Steinbauer’s funny but poignant documentary is a cautionary tale about social media and how it made an unlikely and unwilling star of Jack Rebney. Having decided to make an advertising film to promote his RV -selling business, Rebney decides to cut a few corners on his production, leaving him high and dry when his abilities to address the camera are exposed. The footage of Rebney furiously cursing himself are hilarious, and have been widely imitated on shows like 30 Rock. 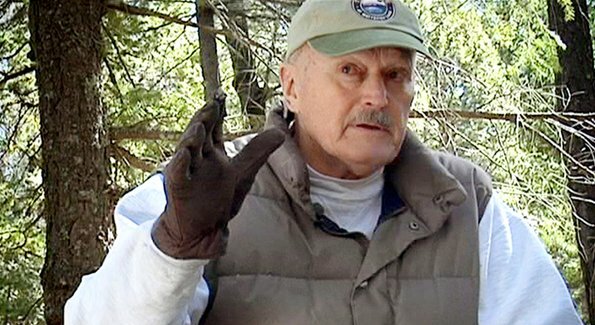 But Steinbauer opens his focus to describe how the video went viral, making Rebney a cult hero and a laughing stock, and leading Steinbauer to track Rebney down to where he lives as a virtual recluse. It’s clear that Rebney set in motion something completely different to his intention, but as viral videos proliferate, Winnebago Man offers a kindly warning about how the internet can distort our best intentions. Adapted from a novel called Morality Play by Barry Unsworth, Paul McGuigan;’s 2002 takes its central notion from Hamlet; after a murder, a staged reconstruction of the crime by actors is used to figure out who the killer is. 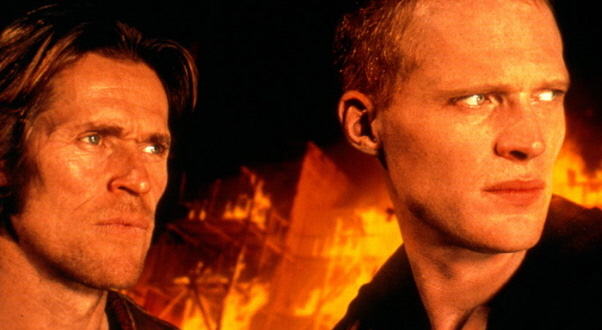 Set in 14th century England, Paul Bettany stars as a priest who ducks his vows and goes on the run with a dubious troupe of actors, led by the eternally sinister Willem Dafoe. The Reckoning is a metaphysical murder mystery, a medieval movie with brains as well as an unusual setting and one which would make a good double-bill with The Name of the Rose. It’s directed with his customary flair by McGuigan. and featuring a remarkable supporting cast including Simon Pegg, Tom Hardy and Brian Cox. Writer and director Sean Durkin’s thriller was briefly touted for awards before the controversial nature of the subject matter seemed to cause cold feet all round; a pity, because Elisabeth Olsen is quite brilliant as the title character, referred to be different names at various points in her indoctrination and escape from a sinister cult. Durkin uses a clever flashback structure to describe how Martha is seduced into the farm-based community led by Patrick (Winter’s Bone and The Sessions’ John Hawkes), while also capturing Martha’s uncertain return to her family in the form of sister Lucy (Sarah Paulson). Martha Marcy May Marlene is a tense watch, creating genuine tension and with one unbearably grim murder to maintain the sense of menace, which lasts right until the final, breath-taking frame. Unceremoniously dumped by distributors, Brian de Palma’s remake of Alain Corneau’s Love Crime is a patchy affair, but although the initial outline of corporate rivalry between Noomi Rapace and Rachel McAdams is curiously un-engaging, De Palma has the tricks and the experience to conjure up some striking sequences. Against a high-fashion background, Isabelle (Rapace) and Christine (McAdams) have a back-stabbing competition for men and business, leading to gory murders and a power-struggle artfully conceived visually by De Palma, who uses his favoured split-screen to deliver an operatic murder is the vintage giallo style. While not from De Palma’s top drawer, passion is a curious and original thriller; the text may not be too hot, but the subtext is complex and elegant enough to repay patient viewers. Alfonso Cuaron’s 2006 film adapts PD James’s novel for a bleak and grimly imagined future of 2027, with Britain crippled by martial law, terrorist strikes and general chaos. The reason is connected to the plague of infertility which has swept the planet; Theo (Clive Owen) finds himself on a mission of biblical proportions when he attempts to help a miraculously pregnant woman to reach some kind of safety. 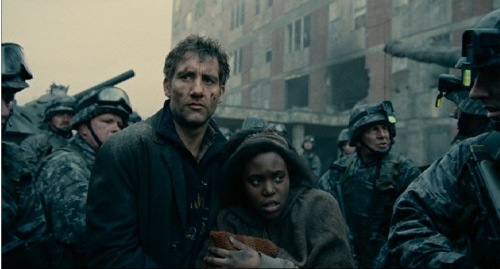 Children of Men is awash with political allusions to turn-of-century events; it’s a decidedly post September 11th film, brimming with paranoia and despair, and spiked with moment of visceral violence. Support from Michael Caine and Julianne Moore, plus Peter Mullan as a refugee-camp supervisor, makes Cuaron’s film a memorable snapshot of modern concerns. Arguably the best teen movie ever, John Hughes’s 1985 film has a seriousness that belies his other work; at the time of release, some critics unfamiliar with his other world referenced Ingmar Bergman for the wintry eye that Hughes keeps on his five protagonists. 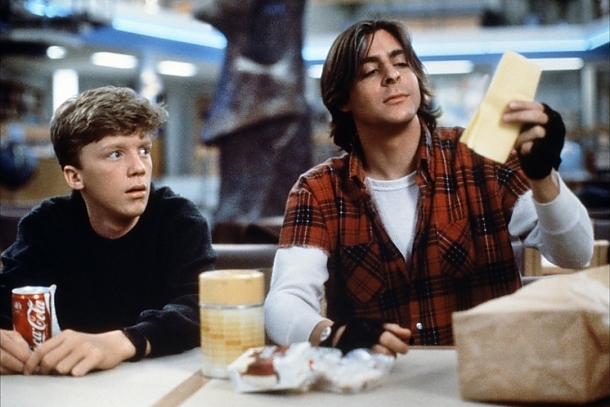 Judd Nelson, Ally Sheedy, Molly Ringwald and Anthony Michael Hall were never better than their performances here are the five teenagers who face detection in an Illinois high-school. Tightly edited by the late Dede Allen, The Breakfast Club has become an iconic pop-culture classic, with endlessly quotable lines from Nelson’s John Bender in particular. As he rips pages from library books, thrown cold-cuts onto the library sculpture, and generally harasses the other kids, Hughes manages to capture the nature of bullying, and also, in a revelatory fashion, allows us to sympathise with the bully. The Breakfast Club extends its sympathy to young people everywhere; when you grow up, one character notes, your heart dies. Hughes’ film keeps that heartbeat racing for kids of all ages.